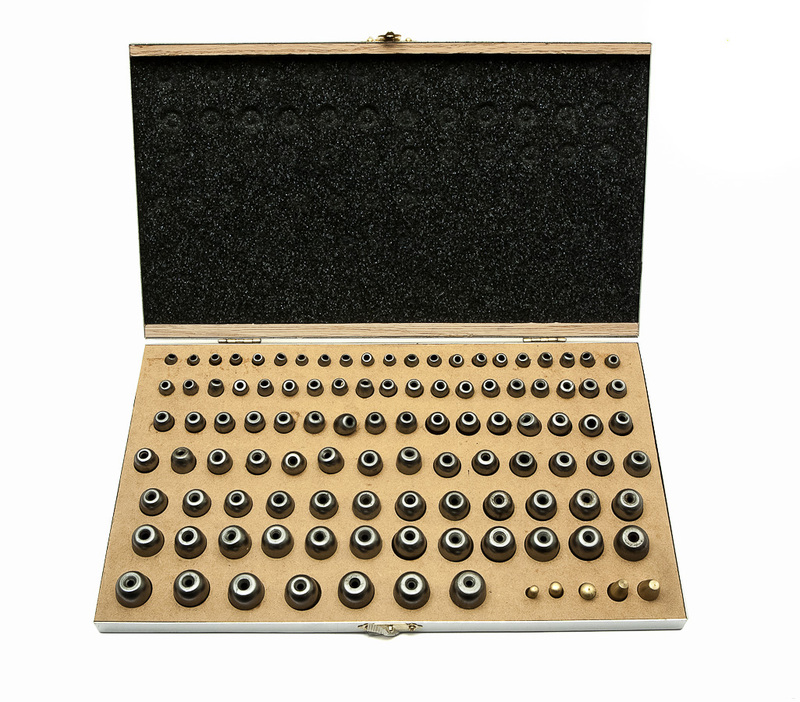 A set of 101 steel dent balls and 5 brass drivers. Graduated in size from 0.250” (6.4mm) thru .750” (19mm) in 0.005” (0.127mm) steps. 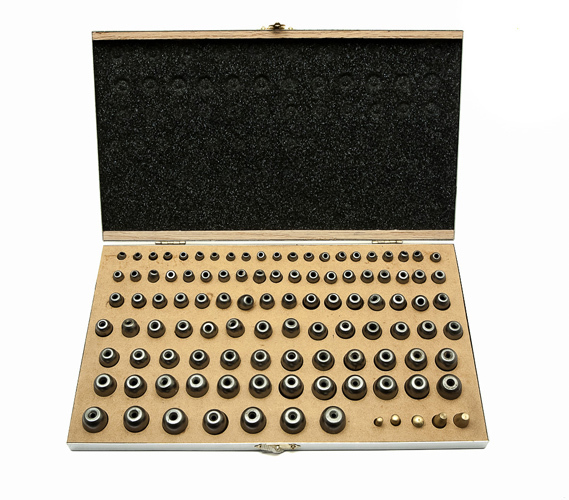 Includes storage case, which organises the dent balls in size order. Drilled to accept most of our cable tools, some may need further drilling. These dent balls will give a repairer the ability to remove dents from Bassoon Crooks, Trombone slide bows, Trumpet/Cornet bell crooks, and many other small 'inaccessible' places. Set of 101 dent balls. Ranges in size from 6.4mm to 19mm.